For rent ads in Sydney. Thank you for visiting our free advertising website For rent, Sydney section. We provide high response free classifieds and free advertisement. Use our online free For rent classifieds placement system to find, list, offer For rent online! Need cooling solutions for your business? Buy or Hire Climate Australia's commercial and industrial portable evaporative cooling units today and get cool quickly! For orders and questions, call us now at 02 9977 3474!. Guardall has been distributing top-quality, reliable and trusted electronic & mechanical safe lock solutions since 2006. With more than 150 lock systems, we are one of the world’s most extensive lock technology distributors. With a reputation for customer-centric solutions that work flawlessly, we continue to lead the way in the vault market. This residence offers a feel of a house with an easy access to public transport, cafes and restaurants. Immaculately presented Secure parking Furnished Feel Free to contact me, If you are interested..
At Pure Gelato, we aim to be that exactly that: by offering premium Gelato treats for fundraising events, corporate parties, private functions and wedding celebrations..
Bellcast have a talented team of architects and designers that all working together to bring your Granny Flat dreams to life. For more information about granny flats. If you are looking for a granny flat in Sydney then you can contact us anytime. Contact us:1300661370 E-mail: info@bellcastgrannyflats. This home is right on Bondi Beach, One of the world's most famous white sands 'bondi' Whether it be an early morning swim or surf, or get amongst the waves or take a gentle dip before stopping off at any number of Bondi best cafes and resturants. Newly Renovated with floorboards throughout, this apartment comprises of 3 Bedrooms, 1 bathroom, Bedding Configuration: * 1 King * 1 Queen * 2 Singles Ceiling fans in all bedrooms, Kitchen: Smeg kitchen and appliances including Microwave, Dishwasher, Gas Stove, 300$ per night. This property is 3 minutes walk from the beach. Bondi Classic Style - 2 bedroom apartment offers accommodations in Sydney. The kitchen features a dishwasher and there is a private bathroom with free toiletries and a hairdryer. A flat-screen TV is available. The nearest airport is Kingsford Smith Airport, 11. Sydney Bus Charters are perfect for any occasion where you would need a bus and a driver to take you around. Whether it be a bachelor or bachelorette party, wine tour or a school excursion - Sydney Bus Charters can service your needs! 16-18 Bourke Rd Alexandria NSW 2015 info@buscharterssydney. Sydney and Wollongong Stretch hummer hire for all occasions.Services include: Weddings, Formals, Corporate, Birthdaysand all other occasions.Calltoday for a competitive quote on 1300 521 382 Website:	https://www.hummerzillaz.com.au Phone:	1300 521 382 Email:	info@hummerzillaz.com.au Address:320/9. 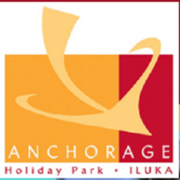 Anchorage Holiday Park, 4 Star accommodation in Iluka. Enjoy our pet friendly caravan park in the northern rivers of NSW. We offer a Day Spa, Luxurious spa cabins, powered sites, un-powered sites, and more. Contact us now..
We are specialist building and construction lawyers who can help you enforce your legal rights. We only work on construction law matters so you can be confident you are getting the right advice. 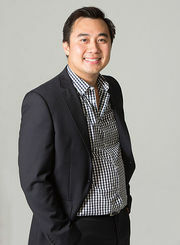 Contracts Specialist is headed by John Dela Cruz. 1 Call us on 02 8096 8576 2 You will speak with a Building and Construction Lawyer 3 We will advice you of your legal options Services we offer: Security of Payments Building Disputes Construction Contract Building Contract Construction Lawyer Building Lawyer. Leading marketing personnel in Crows Nest, Naremburn, Wollstonecraft, Cammeray, St Leonards, North Sydney. Market appraisals, Property Management, buy buying, rent renting, sell selling. Professional and personal real estate service with a proven record since 1989. Website: https://www.northsiderealtors. Hire Limos and Hummers for your occasions, meetings and special days! If you are looking for a luxury hire service that provides for limousine on hire than Amore Limo is the name to remember. 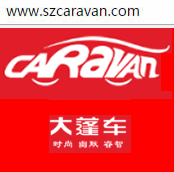 We are a travel hire service in Sydney. We offer not just our limos and hummers but also an experience with great interiors and luxury to remember. We are a cheap limousine hire company in Sydney that provides for your occasions, meetings and special days. Get Great Luxurious & Memorable Travel Experiences! Amore Limousines is a brand that is known for providing its clients with great luxurious and memorable travel experiences. We are a limousines hire service of choice in Sydney. Our scope of service at Amore includes the following : Limos for weddings​ Sedans Convertibles Hummers We are a top rated limo service in Sydney that has the best collection of limousines to meet your expectations and cater to the standards of service and convenience. For any type of rentals car in Sydney visit gorent.com.au. We are the best service provider in Australia. 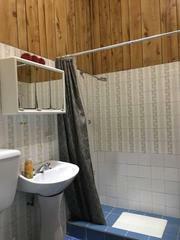 Also, you can post your advertisement to go to gorent.com.au..
Share house with master bedroom AVAILABLE NOW and double bedroom available on 29th Nov. Quiet and excellent location fully furnished house 2 bedrooms for lease Kitchen with electric cooking and fridge Laundry with washing machine Two good sized bedrooms with window, wardrobe, bed with mattress, desk Master bedroom with shower Dining room, bathroom and toilet, rear garden, storage room Other features: 4 minutes driving or 19 minutes walking to UNSW 3 stops by bus from Anzac Parade to UNSW 22 minutes by bus from Anzac Parade to City 7 minutes driving or 30 minutes walking to Coogee beach Less than 5 minutes driving or 18 minutes walking to Coles or Woolworths supermarket 6 minutes driving or 3 stops by bus to Westfields 8 minutes walking to Anzac Parade food stores for lunch and dinner 10 minutes driving or 28 minutes by bus to Tafe college 9 minutes driving or 24 minutes by bus to Randwick racecourse Room pricing a week: Double bedrooms $380 (*Bond $760) Master with bath $420 (*Bond $840) Rental includes water and electricity. Are you games fanatic? 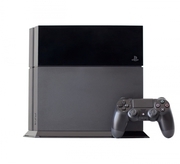 Now you can rent PlayStation from us and enjoy the fun of your favorite games. Invite your mates around and battle it out with your favorite games to have an home entertainment experience like no other. Not everyone can afford to buy a PlayStation, but why buy when you can rent it out at affordable rates. I live overseas mostly and have a large apartment and room for rent available. This in Bronte Road. Please get in contact. I want to rent this immediately and can do viewings Friday and Saturday 28/7. For 3 to 6 months rental available ideally six months.. Stunning location for your Wedding or special function. 7.5 acres of private riverfront land, including a beautiful house for you and your guests to enjoy. Website: http://terarariversideretreat.com.au/ Phone: 04 0559 4720 Email: marie@terarariversideretreat.com.au Address:	135 Terara Rd, . Gordon Executive Centre provides contemporary, furnished and professionally managed Serviced Offices , Casual Office Hire , Meeting Room Hire, Virtual Office, and Virtual Address services on Sydney's North Shore located in Gordon Centre. Address: Suite 1A, Level 2, 802 Pacific Highway Gordon, NSW 2072 Phone: 0298445444 mail: gordon@GECentre. G & L Classic Hire Car are a boutique classic hire car service with cars from the golden era of style, chic and soul. We are a boutique classic hire car service with cars from the golden era of style, chic and soul. Feel the magic again and make your photo shoot an instant classic. We provide our cars for weddings, photo shoots, formals, private functions and bespoke driver services. Chauffeured offers premium limousine hire services to Northern Beaches and all it's surrounding area.our beautiful city to experience the highest quality limousine transport Limo hire in Sydney... For more info visit our website:http://www.chauffeurtravel.com.au/. Gravity provides an inspirational environment for members to meet, innovate, collaborate and take advantage of the positive forces at work. We offer: Coworking Spaces Office Spaces Conference Venues Services Offices Meeting Rooms & More! We are well established and offer our services in Sydney, Melbourne, and Brisbane. Live at Iglu Central - surrounded by neighbourhood of Chippendale, Ultimo and Glebe offering great cafes, restaurants, fitness centres, parks, and markets. Within walking distance to Sydney’s Central Station, The University of Technology (UTS), University of Sydney, University of Notre Dame, Sydney Institute of TAFE, as well as multiple private tertiary colleges and English language schools. 10.1 inch Android 5.1.1 Rear-seat Entertainment System PD1117 10.1" Ultra-thin Touch Screen Android Headrest Player 1)10.1 inch digital screen 2)High definition panel:1280 * RGB * 800 3)24 bit true color/ LED low power consumption backlight 4)Multi-points capacitive touch screen 5)Powerful ARM Cotex-A53 platform 6)1G DDR3 (dual-core) 7)Android 5. The apartment consists of a living room, bedroom, kitchen with small dining area, bathroom with toilet, bath and washing machine. It is fully equipped with flat screen TV, dishwasher, washing machine, bed linen, dishes, coffee machine etc..
New kitchen with dishwasher and ceramic glass New bathroom / WC Located in the northern end of the city within walking distance of the Rocks, Darling Harbour, the Opera House and Sydney's best cafes, restaurants and shops, public transport is at your doorstep, this immaculate and contemporary apartment offers an enviable lifestyle. Specialists in unique and stylish tents and camping accessories, including canvas bell tents, solar powered festival tents and cool yet functional camping accessories. Hire our fleet of fully furnished luxury bell tents, pre-pitched at the location of your choice across the Coffs Coast and Bellingen Valley. Great to see you on one of our social media pages. We love to give a short video introduction of what we have to offer you. Besides this, we can also work out a tailor made holiday or even a wedding package. Are you looking for a villa rental or sales, rooms or even land? Or do you want to sell your own property ?! We're the only broker with a complete overview of all property in Bali, combined with useful information such as supermarkets, schools, hospitals and public transportation displayed on a map! There is no competition for the way we do things. Australia free ads for For rent, Sydney, For rent free ads Sydney, For rent for sale Sydney, For rent to buy in Sydney. Find on this page free classifieds for For rent in Sydney. This listing includes classifieds for sale and to buy in Sydney. FREEADSAustralia Sydney offers you a platform to post free advertisements or classifieds for For rent in Sydney. FREEADSAustralia helps you search, find buy, sell, rent or hire in various categories like apartments, goods for sale, local services, cars , jobs and many more in Sydney. If you posted an advertisement in category For rent of FREEADSAustralia Sydney before please use Edit my ads button to change or cancel your ad. For rent Sydney ads Sydney, For rent classifieds Sydney, For rent free ads Sydney, ads for sale Sydney, ads to buy Sydney, FREEADSAustralia. Find here ads for sale, to buy and rent in Sydney. Goods for sale in Sydney, vehicles for sale in Sydney, Sydney real estate for sale, Sydney property for sale, property for rent in Sydney, business ads in Sydney, Sydney business classifieds, services in Sydney, Sydney services ads, jobs in Sydney, pets for sale in Sydney, Sydney dating, Sydney cars for sale.